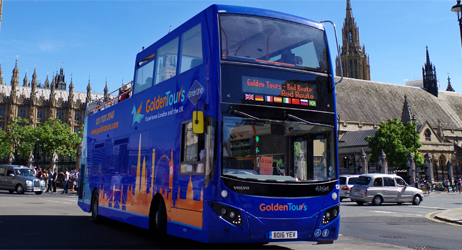 Hop on Hop off Plus (Operated by Golden Tours) is London's foremost sightseeing company. Established in 1984, we offer an extraordinary range of tours. We appreciate that your leisure time is important to you and have therefore designed our tours to ensure that you have the maximum amount of time at each venue to fully appreciate it and enjoy the experience.. Hop on Hop off Plus (Operated by Golden Tours) Gray Line London is a name you can count on for impeccable service, high quality tours and value for money!